Who doesn't love a good surprise? With this color changing coffee mug, you're definitely in for a great one. This mug has a black matte finish when it's empty. 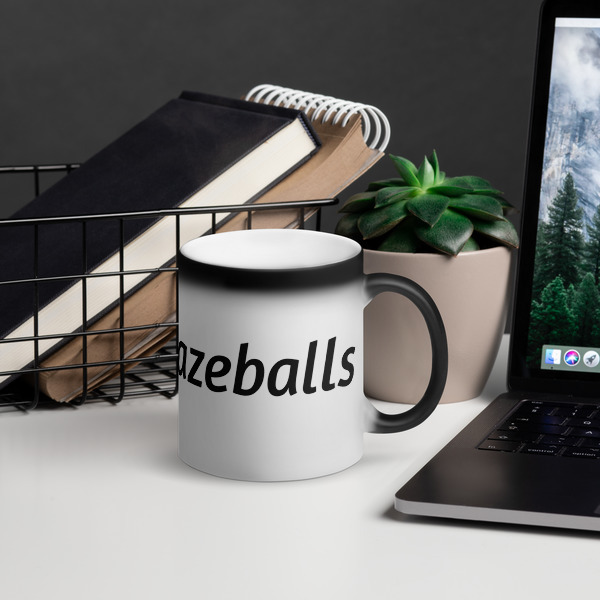 But when it comes into contact with a hot beverage, the mug reveals a beautiful print that'll always make you smile when having your drink of choice. 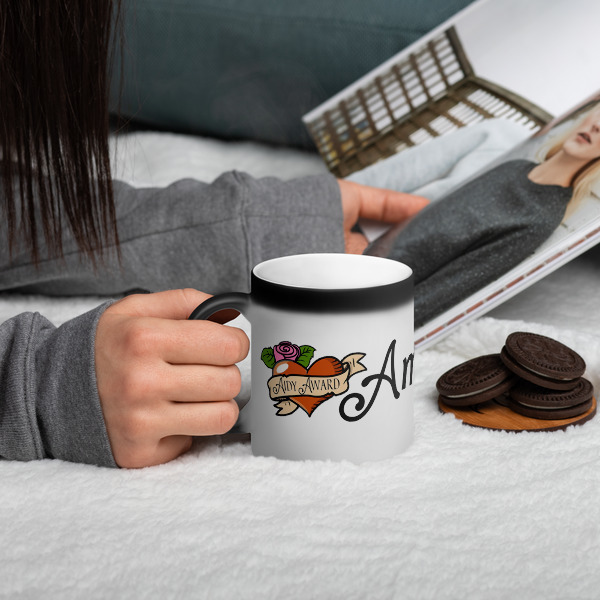 • Ceramic • Black matte finish when cold • Reveals the print when exposed to hot liquids • Dimensions: height - 3.85" (9.8 cm), diameter - 3.35" (8.5 cm) • Made in China. Printed in Europe Note that in some instances the coating might not be 100% opaque and an outline of the design might peek through a little. Also, you shouldn't put the mugs in a microwave or dishwasher since it can damage the coating.